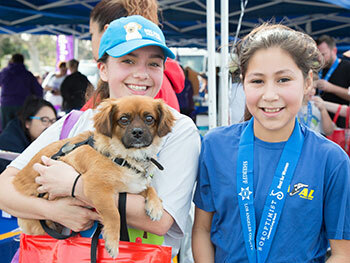 Friday, March 1, 5-8 p.m.
1K Fun Run: 9:30 a.m.
Register online now at Racewire! Want to get friends or family together as a team? Download the registration form and waiver for all the details. 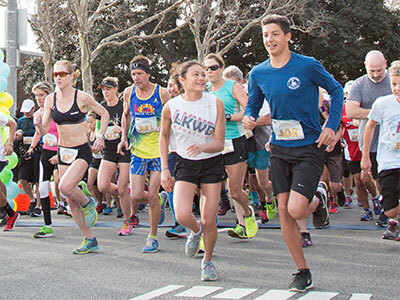 The Lakewood Run returns on Saturday, March 2, 2019 when Sheriff's deputies, recreational runners, families and kids will gather at the starting line in front of the Lakewood Sheriff's Station to run the event's 5K/10K course for time, or do the 1K "Fun Run" or a 5K walk. Lakewood's tree-lined residential streets provide the backdrop. The flat, "runner friendly" course is "fast" for practiced runners and comfortable for fitness fans and family members. Professional timing will be used and online registration is open! Register early for best price. Sorry, no refunds. Group registrations of 10 or more is $30 per person. 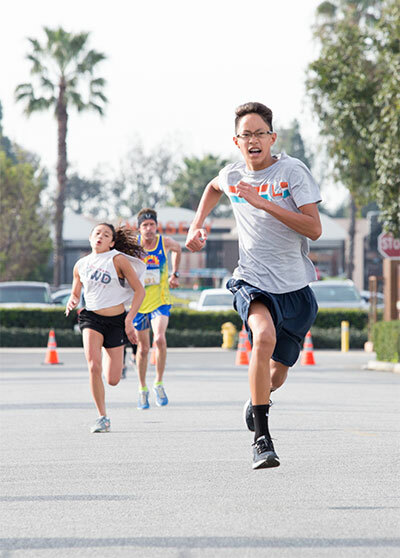 You are directly supporting Soroptimist International of Lakewood/Long Beach and Lakewood Sheriff's Station charity efforts while you pursue your personal best in the 5K/10K for time, or run or walk for fun in this family friendly event. Learn more about our sponsors and how together we are helping the community. What is the Lakewood Run? The Lakewood Sheriff's Station 5K/10K Community run is a special Lakewood charity event with a long history. The Lakewood Sheriff's Station formed a partnership with Soroptimist International of Lakewood/Long Beach. The partnership supports a tradition of service by bringing together the communities of the Lakewood/Long Beach area together for a healthy and fun-filled event. Event proceeds will benefit the programs and services for women and girls served by Soroptimist International of Lakewood and Long Beach, abused and neglected children of Los Angeles County through the 999 Foundation, and the Lakewood Sheriff's running team.